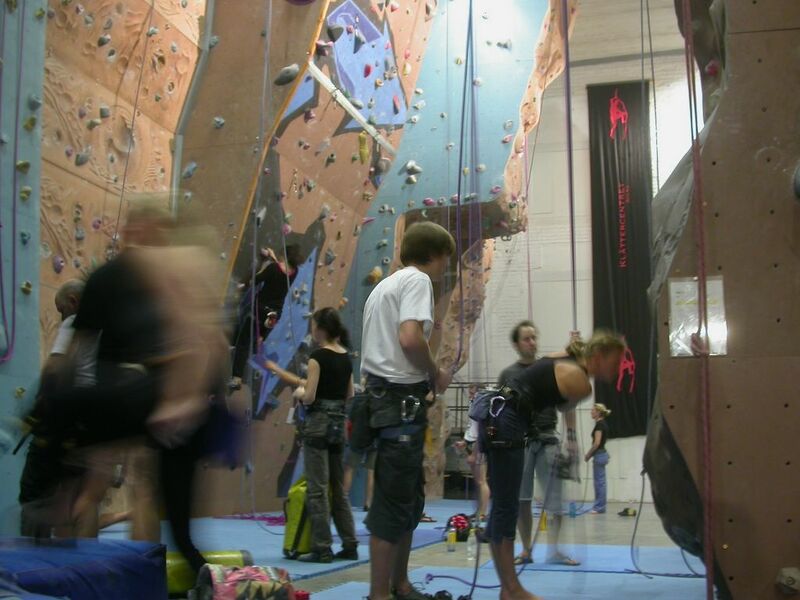 As I have done for the past 8 Wednesdays, I went climbing tonight at Klättercenter in Solna. My hands were a bit beat up from climbing on Sunday so I had a bit of trouble. At first I taped the fingers where I had cuts or abrasions; but the trouble is that the tape is more slipepry than skin, so it makes it hardeer to keep a grip on the wall. 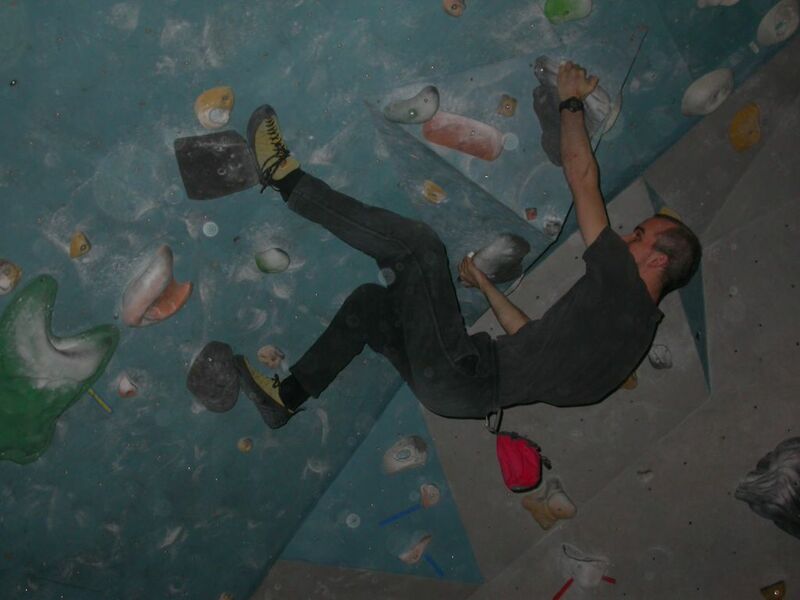 This photo shows me doing one of my favorite routes on one of the bouldering walls. I can completer this route about half of the time. It's tricky, but fun! Here Anna (a different one!) 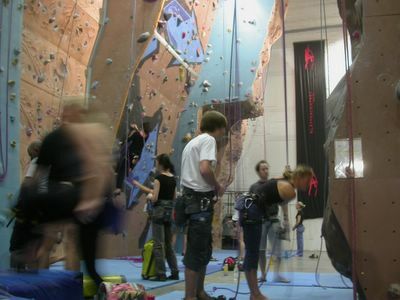 tries the fun yellow route. 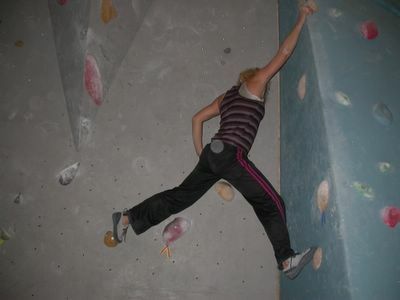 The trick to this one is to use the walls and push as much as pull.